Hi, while many of the awarded World Press Photos 2012 have a current political background, the best sports photos are not less interesting but often an overlooked category. 101,254 photos from 5,247 photographers from 124 countries have been submitted this year, and from these the jury selected the best photos in every of the nine categories. My favorite winners in the category Sports, which I am devoting this post to, are the impressive photographs by Adam Pretty and Ray McManus. 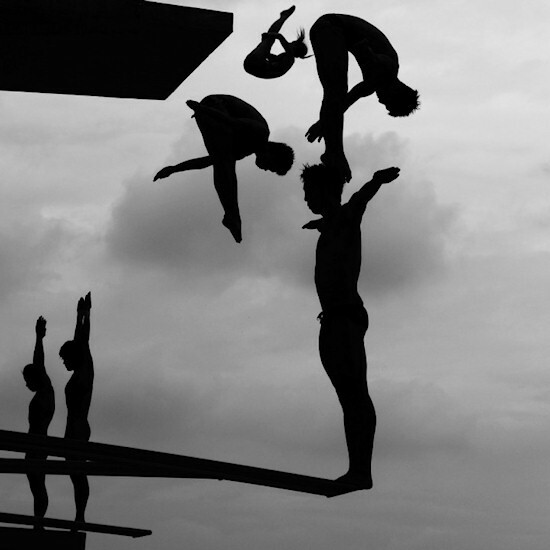 Adam Pretty won the 2nd prize for this artistic, black & white photo story, documenting the World Swimming Championships 2011 in Shanghai. The award-winning Australian pro photographer also won last year's 1st prize in the same category, and also 1st and 2nd prizes in 2005/2004 and 1st prize in 2000. Pretty Awesome! Under the Sports Single winners, my favorite is Ray McManus' photo still, showing a rugby player on the ground, covered in mud, and surrounded by other players. 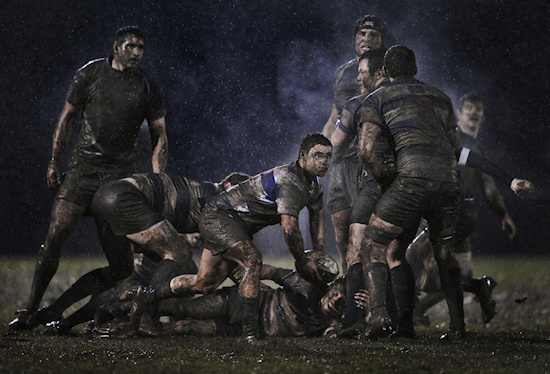 Harsh conditions and heavy rain is also something not only rugby players, but also sports (and press) photographers have to get used to ;) and Irish photographer Ray McManus did an excellent job here. Congrats! Action from a rugby match between Old Belvedere and Blackrock played in heavy rain in Dublin, Ireland. — World Press Photo 2012, 2nd Prize, Sports Singles.